All across America, residents of rural communities and small towns are stepping up to stand in solidarity with immigrant families and refuse the intimidation and fear the Trump administration wants to use to keep them apart. “It’s really concerning that in America, we would actually traumatize children and families on purpose, and not do the right thing and reunite them,” said Joel Lewis of Wausau, Wisconsin – population 134,000. 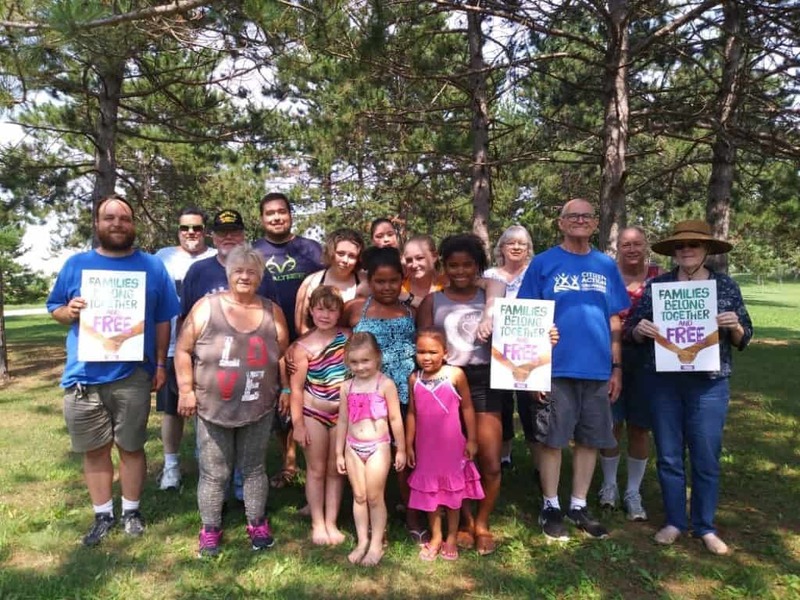 Lewis joined other members of Citizen Action Wisconsin to host a Community Cookout in Wausau this weekend to raise awareness about the ongoing struggles faced by separated families, and to discuss ways local communities like theirs can help. 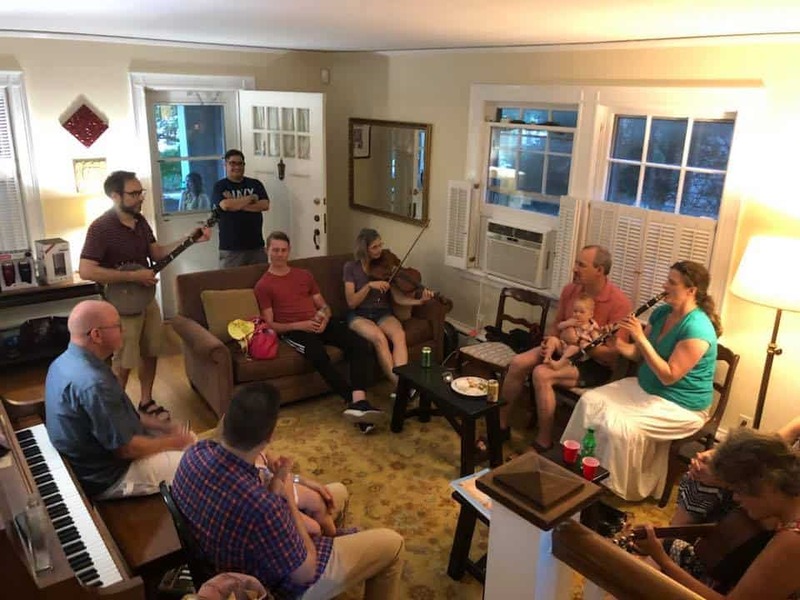 The Wausau cookout was one of fifty held across the country to raise awareness about the impact on families separated by the DOJ’s “zero tolerance” policy for immigrants. 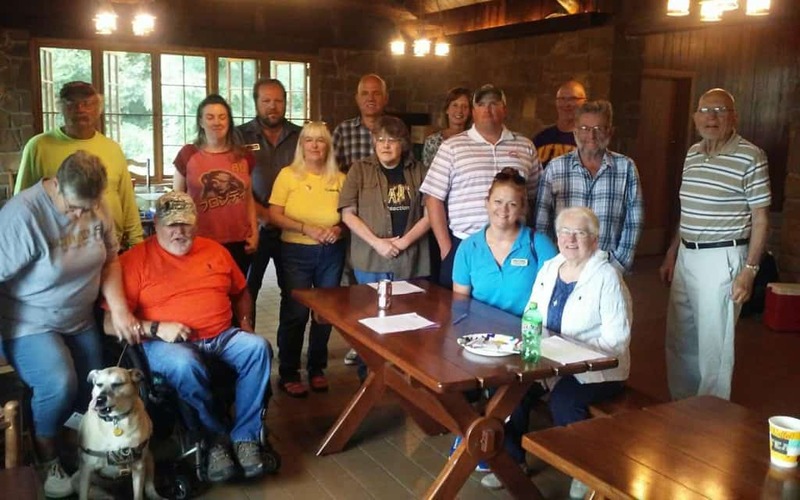 “Today’s potluck is another important step in our overall fight for justice to keep families in together in our communities – not in cages, not in jails,” said Julie Duhn, who helped organize a gathering in her hometown of Eldora, Iowa. 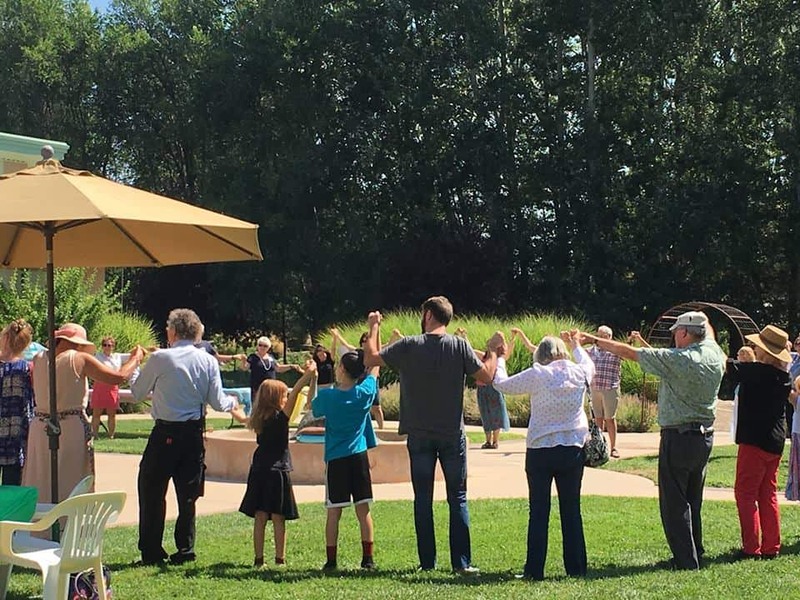 Many of these small towns, including Wausau and Eldora, are among the hundreds that held local protests in June after the Trump administration’s “zero tolerance” policy of separating migrant families at the border was first announced. That widespread public outcry, and a subsequent federal court ruling, forced the Trump administration to end the separation of families at the border – but many families remain apart. Hundreds of children have been effectively orphaned by this policy, since their parents were deported with no effort made by authorities to maintain contact or a chain of custody. And while the Department of Justice claims they’ve now exhausted their abilities to reunite families, a federal judge has affirmed that it remains the “sole burden” of the government to reunite families they themselves needlessly separated in the first place. The DOJ has forced immigrant parents to pay thousands of dollars out of pocket in bond and travel expenses to be reunited with their own children. Many now await potential deportation if their requests for asylum in the United States are denied. For towns like Eldora and Wausau, ICE’s ongoing intimidation of immigrant communities is also a local issue. Eldora, population 2,700, is also home to the Hardin County Jail, which also houses detained immigrants. Iowa also recently passed SF 481, a state law that punishes local communities for refusing to cooperate with ICE raids. In Wisconsin, ICE recently targeted and arrested Ricardo Fierro, a father of seven in Racine and community leader who worked for the Hispanic Chamber of Commerce. He is now awaiting deportation, despite pleas from dozens of community and religious leaders, including state and local officials, on hls behalf. So communities like these, as well as Indianola, Iowa, Irondale, Alabama, Bar Harbor, Maine and Barre, Vermont, all answered the call put out by National Domestic Workers Alliance and People’s Action – two of the groups that helped organize the nationwide protests on June 30 – to host Community Cookouts in their local communities. 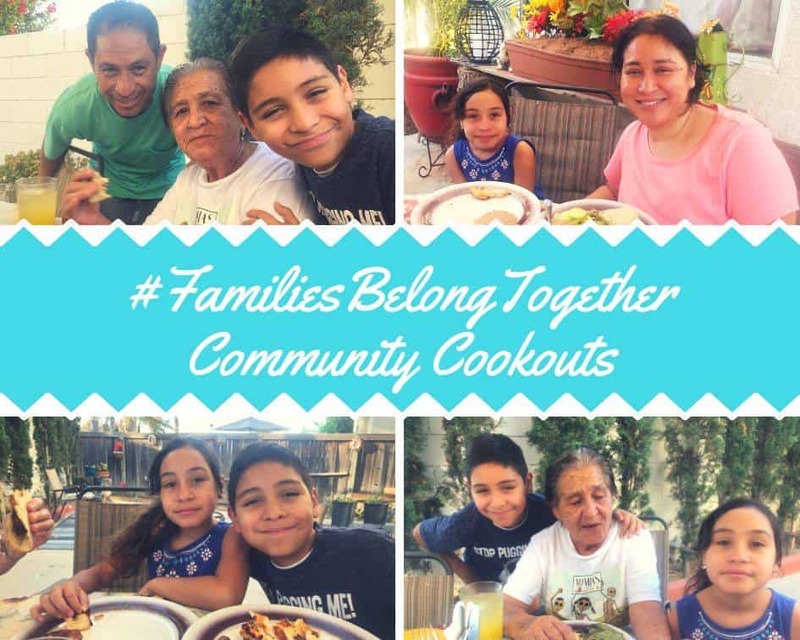 The Alianza Campesina joined the call to host additional Cookouts in California, Florida, Kentucky, Ohio and Washington State, and events were held in solidarity by community groups in Brooklyn, New York, Austin, Texas and elsewhere around the country. Many of these small towns are also in “pivot” counties, where a few thousand votes tipped states for Donald Trump in the 2016 elections. Wausau, for instance, is the seat of Marathon County, which Trump won by 12,534 votes – nearly half Trump’s margin for the entire state. So organizers say raising awareness about the true impact of Trump’s policies may also help change hearts and minds at the ballot box, this November and beyond. At several events, such as in Eldora and in the Catskills hamlet of Gamboa, New York, elected officials were invited and attended, so they could hear how their constituents actually feel about family separations. Gamboa is in New York’s 19th District, where the Republican Representative – John Faso – is up for reelection in November.